Wagtails Apartment is just behind the tree above the orange car below the red chimneys seen on this photo. It takes around 20-25 minutes of picturesque rural lane walks to get down to the beach itself. NB: The orange car in the photo is next to "Heather Cottage", another one of our holiday lets. A beautiful location for a holiday break. Situated right in the heart of Llanmadoc village green, close to Cwm Ivy National Trust walks/woods, and several local nature reserves. 20 mins walking distance to/from the beaches. Only 10-12 mins drive to other beaches at Port Eynon or Horton, Oxwich Bay or Llangennith (great surfing), 15 mins to Three Cliffs Bay or 20 mins by car to Caswell, Langland including several you can drive right up to. Accommodation all on ground floor. Friendly, welcoming, and hopefully informative hosts -who live next door in Gower Cottage . Sleeps 2 in one quality double bed (luxury pocket sprung mattress), in one bedroom - which leads through door to private good size bathroom. Good sized bathroom, with combi fed mixer shower over white enamel steel bath, new sink and toilet. Ample bathroom storage space. Shaving point in bathroom mirror. We ask Wagtails guests to kindly plan to arrive after 3.00pm on arrivals day. We ask Wagtails guests if they could kindly co-operate by departing by 11.00am on your departure day. Approx. 20 mins walk from both cottages you can enjoy three miles of local sandy beaches and dunes at Broughton / Llanmadoc / Whitford Burrows - as shown below. Enjoy the inspiring views, cliff-top walks, wooded valleys, extensive dunes and in an AONB and appreciate several National Nature Reserves. 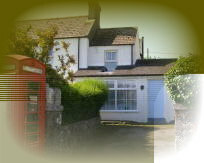 By booking a cottage stay at Middle Cottage, Wagtails, or Heather Cottage, you are entering a business contract under UK law and in doing so you are also agreeing to allow us to receive, store securely, and safeguard, necessary & reasonable data including some personal data (only as per booking form) for the specific purposes of managing your booking as part of our carrying out a legitimate holiday cottage business - and for no other purpose). Apart from if you choose to share a specific health or disability requirement with us - as part of checking the suitability and adaptations required for your booking stay - we do not compile or hold nor do we ask for sensitive personal information (this would for example include : race or national or ethnic origin, religious, philosophical or moral beliefs, or sexual life or sexual orientation). NB: Our cottages are available to be booked by any person over the age of 18 regardless of any such status, and in line with UK equality legislation. (We actively encourage and welcome people from the LGBT & BME communities but do not ask about or seek to hold such information and data). Your data will only be used for (1) contacting within a reasonable time before during or after your stay and only regarding your current booking (no follow up marketing ); (2) complying with HMRC rules and requirements for the proper payment of UK taxes; (3) complying with Business rates (Valuation Agency) requirements; (4) the prevention of crime or fraud. The information and data may be shared with HMRC, Valuation Agency, and (via tax return compilation) our Professional Chartered Accountancy firm. It will never be shared with other guests, or any advertising or marketing company, or any other person or organisation. It will most certainly never be sold or provided commercially. Your personal information (name, address, contact details, email address etc.) will be stored securely for a period of not longer than 5 years from your last date of your stay. This will allow any HMRC investigations to be conducted. It will then be destroyed / deleted in a responsible and secure manner. Electronic data will be permanently erased. o processed in a manner that, through use of technical or organisational measures, ensures appropriate security, including protection against unauthorised or unlawful processing, and against the accidental loss, destruction or damage.